Transform your home with Ayrshire’s bathroom experts. The Gibson and Goold name has always been synonymous with high quality fireplaces, the fact that we have been fitting high quality bathrooms for over 15 years is probably Ayrshire’s best kept secret. 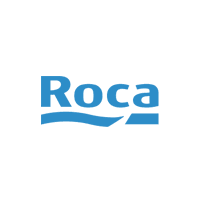 Using the industry’s leading names; Mira, Ideal Standard, Rocca, Grohe, Twyford and Aqualisa, we supply bathrooms to suit both contemporary and traditional tastes. Gibson and Goold provide a fully joined up service from design (where CAD drawings are available on request) to supply and installation. We utilise only our own staff so quality is always assured. It is not only fully able customers that benefit from our comprehensive range and industry leading service. Gibson and Goold have become the area expert for fitting less-able adaptations including wet floors and level access showering facilities. 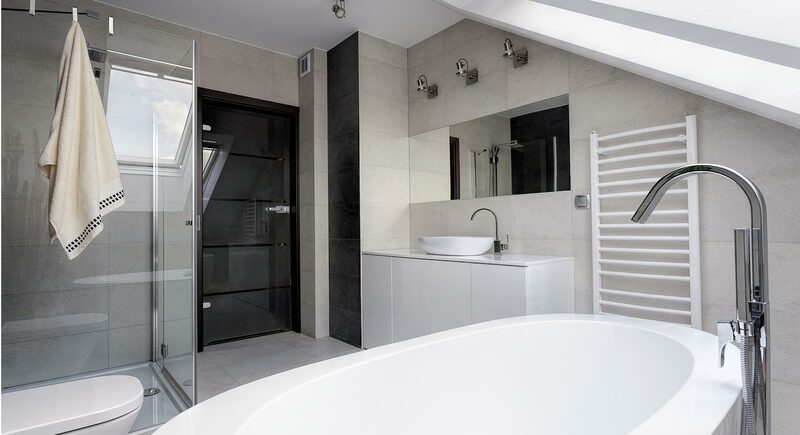 We would obviously love to refit your entire bathroom but we also appreciate that sometimes less major work is required and we are happy to get involved in smaller projects such as supply and fit of showers, enclosures, tiling, ceilings and lighting. Gibson and Goold provide free written estimates so you really have no more excuses, call us today! Gibson & Goold offer a variety of styles and designs, from Ultra-Modern to Traditional. With a huge stockholding, many items are available from stock to take away or for home delivery or installation. If you are looking for a new bathroom, cloakroom, shower, replacement taps or toilet seat, we are confident you’ll be spoilt for choice, and with a great range of tiles and flooring, come and see what’s in-store today. 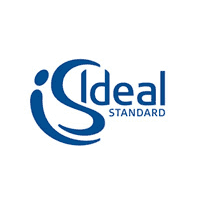 We have a great selection of products from a range of manufactures that we can provide on a supply only basis if you have you own installer. 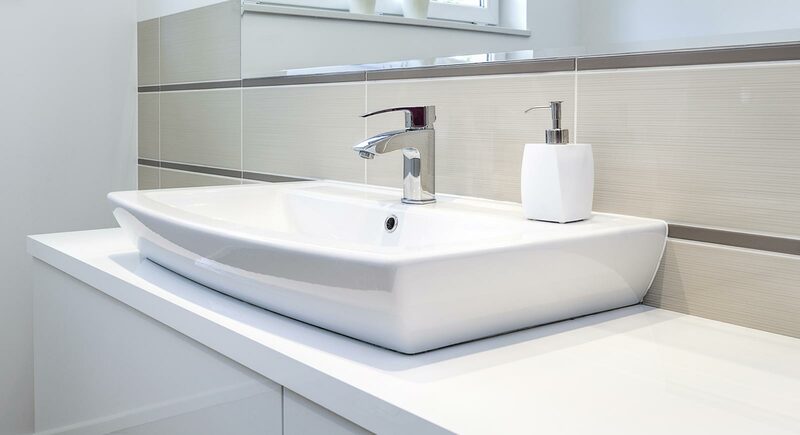 We can supply everything from a single tap to a complete bathroom suite including tiles. We stock everything from traditional to ultra-modern set ups. 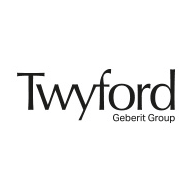 Our brand new showroom show a selection of the vast range of products available to us so please visit or call the showroom for anything you require. With expert design and attention to detail, our clients receive the highest standard of customer care and service, at all stages of the process making your experience a pleasurable one. We employ all our own tradesmen including electricians to ensure we provide the best possible service. Our fitting teams are extremely friendly and professional – if it wasn’t for the fabulous new bathroom, you’d hardly know we’d been there! There is so much choice when it comes to the perfect bath. Installing the right bath solely depends on the size, orientation of your bathroom and taste of the customer. Baths create a natural, luxurious ambience creating the perfect place to relax after a long day. Whether you are looking for a free standing or built-in bath, Spinks has something for everyone. No matter what style or size of shower you are installing in your new bathroom, a shower head can make it feel lavish. With numerous jet types to choose from, your overhead, hand shower or side showers can make showering a great experience. 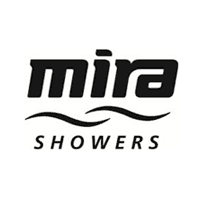 Shower sets are also available, and complete a shower. Taps and Mixers are key elements in any bathroom. They can take on simple practical forms or can be a stunning finishing touch to both a bath, shower and basin. We offer a whole host of taps to choose from in all shapes, sizes and finishes. 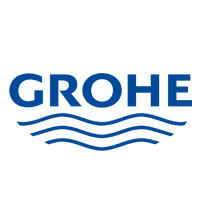 Working with the likes of grohe and bristan being able to find pretty much any design requested. Mirrors are both an aesthetic and practical addition to any bathroom. Some choose to have a small, discreet mirror and others would like to make a feature out of it. We offer Illuminated mirrors, decorative glass, technology inspired Bluetooth music playing mirrors and mirrored cabinets to give the illusion of a bigger room if space isn’t a convenience. Wall mounted basin vanity units offer a wealth of practicality within their stylish scopes, acting as a space saving solution in smaller bathrooms or as eye catching focal points in larger family bathrooms. They also provide practical storage solutions to hide away all the bathroom essentials. Most people don’t even think about their radiators when planning a new bathroom, our designers at Gibson & Goold do, Whether you are looking for a quirky round or an unusually shaped fitting , traditional or modern then we can supply and fit your chosen style of radiator. We have a dedicated heating and plumbing department that can advise and help with any advanced heating requirements. Wall and ceiling lights are a Gibson & Goold specialty alongside a range of LEDs and sensors. Or for that little wow factor – why not add some mood lighting which is a feature that is proving very popular. We have our own expert in-house electrician who can install whatever lighting designs you desire.